The gold standard for the clinical relevance of any new test in the management of a specific disease is … Do the results of the test change the way a physician would previously have managed patients? It would appear that there is a strong likelihood that the results of a 68Ga-PSMA PET/CT will change the management of a patient who is biochemically recurrent after first line therapy, most particularly if he has a positive scan results and or a significantly elevated PSA level on recurrence. So the 68Ga-PSMA PET/CT scan is certainly clinically useful. It’s value is going to depend on how much such scans cost once they become more widely available in the US. Sorry, I strongly recommend that the aim of the test is to secure as many patients get a chance of a permanent cure as possible. We know the cure rate is very high if salvage treatment after radical prostatectomy is initiated as PSA is rising but still very low, say 0.2 ng/ml. At such low PSA levels, PSMA PET/CT only detects cancer for half of he patients. So would PSMA PET/CT improve survival for patients treated at early PSA relapse? It is the issue for the patients. A PSMA PET/CT should not be a substitute for early active intervention for patients with biochemical recurrence. Of course patients with late salvage treatment still exist despite all recommendations but we have to be humble as to what is a gain for the patients, especially what is the best gain for the patients. As you have pointed out countless times before, even if clinical changes were made based on the use of the new diagnostic tool, that does not necessarily mean the new tool is actually beneficial. 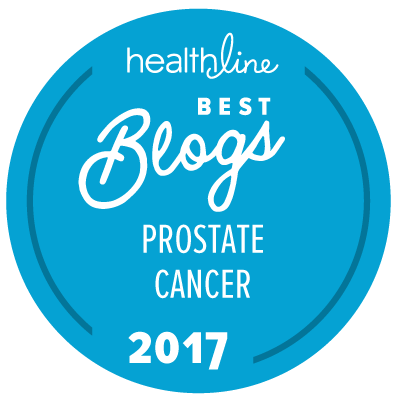 The more difficult question is whether changes in clinical practice result in increased prostate cancer specific survival, with due consideration of any new side effects from the changed treatment protocol. I read the abstract (or at least the parts which are accessible to a non-subscriber) and I could not find what the treatment changes were or whether those changes made the ultimate difference. Speaking from experience with the [11C]choline scan, and a subsequent PLND to remove the “illuminated” nodes, 4 years later, I can’t conclude anything about my chances for better survival due to the results of the new scan, but I can attest to the additional side effects the “changed” treatment caused. Are we at the point yet where we can conclude with reasonable certainty that better early imaging results in better treatment? A whole other part of the answer to your question is dependent on the skill and experience of individual physicians and their support teams in actually executing the modified treatments suggested by the results of the scans. To your precise point, we know that extensive salvage PLND can come with significant side effects. Are these avoidable by really skilled surgeons? Maybe to some extent. Is the risk of the side effects “worth” the possible extension in survival? I can’t answer that question!